The day has finally come: The Connected Issue is officially here! Back in January, we brainstormed themes to explore—eventually deciding on “Connected.” Over the course of this semester, we’ve been working hard on content that redefines this word. From the relationship you have with your dog to the connection you feel with someone you’ve never met, you’ll discover how we interpreted many different types of connections we make in our everyday lives. Thanks for joining us on our journey this semester. Our entire staff worked diligently to bring you insightful posts about how to find connections all around you and with the things you love most. 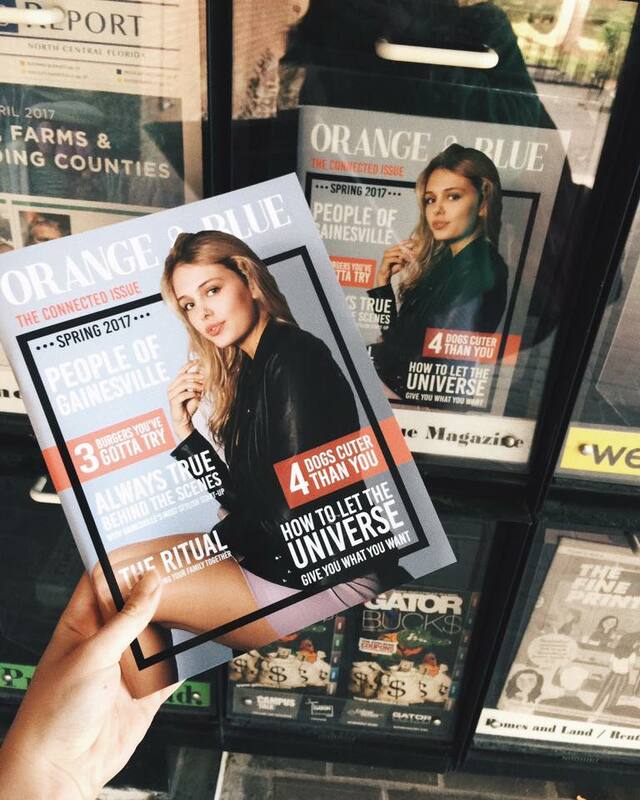 It’s been a pleasure being your blog editors for this semester, and keep following Orange & Blue Magazine on social media to see what’s in store for you next!